Etsy QQQ Team's Craft Market/Shop Hop: The Winner of Augusts Shop Hop contest. The Winner of Augusts Shop Hop contest. 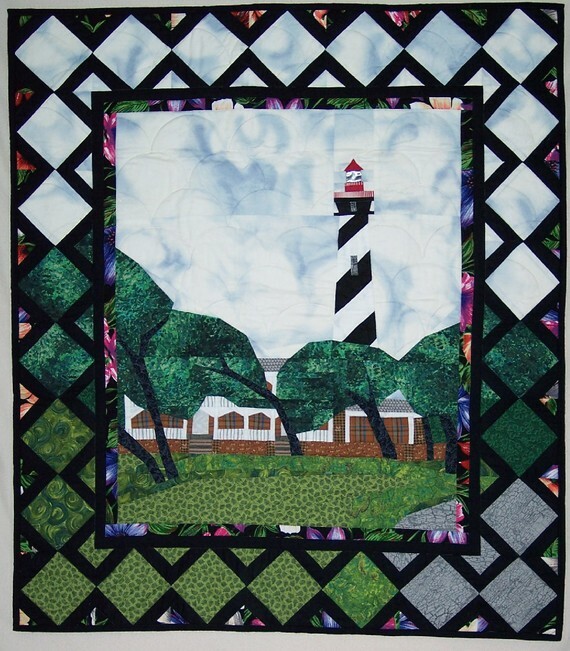 St Augustine Lighthouse Quilted Wall Hanging. 1.Probably my paternal grandmother's. She taught me to quilt when I was about 15. 2. I've lived with quilts all my life. They were always on my bed. 3. Not so much as I used to be. Since the price of fabric has skyrocketed, I've been "shopping my stash" more, and only buying what I need. 4. I never really thought of myself as artistic. For many years, I made all of my family's clothes and thought that was as creative as I could be. :) I do belong to a small arts group consisting mostly of painters, and they have inspired some of my quilts, particularly the vegetable still life series. My drawing skills are limited. 5. I've been accused of putting together colors no one else would think of. That is an enjoyable part of the process for me. I wouldn't consider it a problem. A good point from Elsie here...don't be scared of trying different colours. 6. 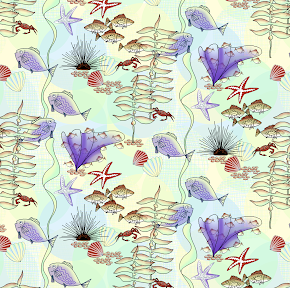 I use 100% cotton fabrics. I also do a little hand dyeing and use those in my quilts. I don't have a favorite manufacturer, but use whatever is suitable for what I'm working on. 7. Where do I quilt? When my son left home I took over his bedroom for my studio. It is only 10' x 15' and has a walk-in closet where my quilts are stored. In that room, I have a cutting table, ironing board, three sewing machines and storage shelves. Can you say crowded? My longarm quilting machine (Tin Lizzie 18) is in my bedroom. I use the dining room table for design work, especially for larger items. 8. Tips for beginners? Start small. Don't leap into a queen size quilt for your first attempt. Do projects that you can complete in a reasonable time so that you have the satisfaction of the finished product. That will encourage you to go on to something a bit more challenging. 9. For the past 14 years, I have lived alone, so that has not been an issue. 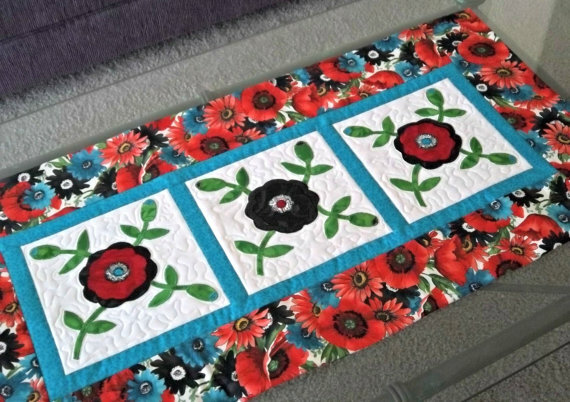 It was a struggle before that, because I could easily get myself buried in my quilting, and I had to learn to put it aside sometimes. Now, I watch some great-grandchildren fairly frequently and just have to stay out of my quilting areas when they're here. 10. Actually, you might say I'm slowly phasing out of the quilting. Not giving it up, but bringing in some other interests. For the past three years, I've been heading up a barn quilt project in our county (Osceola Quilt Trail ) and that takes a fair amount of time. I had a peek at that Quilt trail, rather interesting! 11. I also have a small vegetable garden. I'm very active in my church, doing the finances, and was part of a project to add a new fellowship hall. I made some quilted wall hangings to decorate it. I have 3 kids, 8 grandchildren, and 3 great-grands. Have been widowed for nearly 14 years. Isn't great to be able to get to know our fellow team mates a bit better. It's like being in a quilting group in a way :-) Great fun. Thank you Elsie!!! Linda Johnson, Sew Up Scale, Landscape art quilt, west coast sunset Linda's BLOG has some great reads. I got started quilting because my mother loved quilting. 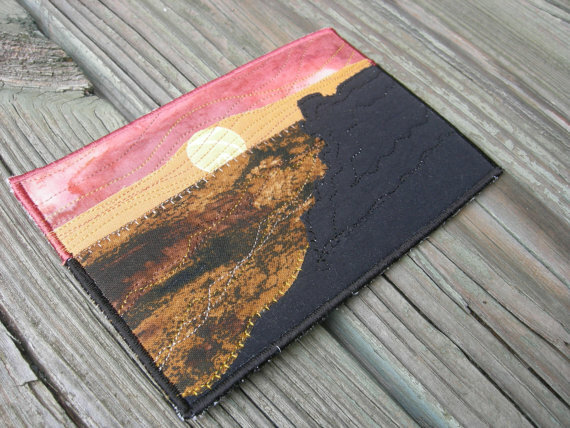 She loves to make crazy quilts and I like to make landscape quilted wall hangings and postcards. I've always loved to sew since I was a little girl. I got started making the postcards when I was still working full time. It seemed I would start a quilt and never finish it. The smaller quilted postcards are much quicker and I don't get bored before I get finished. I have a fairly big stash of fabrics and lots of little scraps. I also love thread and have lots of thread. My sewing room is my son's former bedroom. He claims I couldn't wait for him to move out so I could convert it to a sewing room! Ha ha ha ha ha *big grin* Your son may be right :) An interesting thought you have provoked, about not getting bored before you get finished. I think it would be a great way for a beginner or child to start a life of quilting. They may stay hooked on this particular field or they may end up elsewhere :) Who knows! 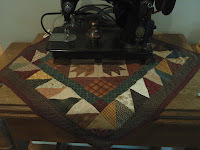 Pat wrote to me saying:I have to blame my best friend Pat for my addiction to quilting and all things fabric. I've know her for over twenty years and we laugh about how she turned me into a monster. It all started when I would just go along for the ride when she went fabric shopping. Before I knew it I was hooked. My first passion was painting. I was attracted to the colors and texture of the fabric and could immediately see the possibility of making art quilts. At the time I didn't even know there was such a thing. I just recently started making traditional quilted items, mainly table runners and small quilts. I have discovered that I love both styles of quilting. Each morning you will find me in my sewing room designing new projects on EQ and cutting or sewing fabric. I've just visited the EQ site.. wow, very interesting. Thank you so much for writing to us Pat. I have loved sewing since I was a very young girl. When I was 16 I had a youth leader at church who was big into quilting. I LOVED her quilts and made my first "Trip around the World". I went on to make a double wedding ring soon after. It helped that my grandmother was a quilter and I still have the sun bonnet sue she made for me! I am lucky to have a knack with colours and don't find it a problem when putting a quilt together, though traditional colours are my favourite, I'm learning to appreciate the bold ones now. One thing I can say to beginners, is , Buy a GOOD machine. 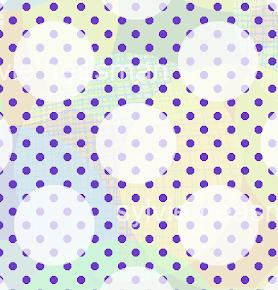 There's nothing more frustrating than trying to create with something that doesn't work. Talk to other quilters.. we love to share ideas. When my children were babies I worked into the wee hours, as they got older and went to school I worked when they were there, now they're big they gobble more time, so it's hard to squish in the time to quilt BUT I could never give it up! It keeps me sane! It's a form of therapy for me.